Our UTV Parts .Biz site Is dedicated to the UTV side x side parts and accessories market and specialize in UTVs including Polaris RZR parts Yamaha Rhino parts Kawasaki Teryx Wildcat, Commander and Maverick. We offer quality performance UTV parts and UTV accessories from heaters, tires, wheels, engine parts, exhausts, lights ect. See our sale prices everyday and We offer our low price guarantee and now match or beat out our competitors print ad's and mailers. We have been one of the leaders in the part biz since 1994. And first started with watercraft and ATV parts. In 2009 we started selling UTV parts and have been growing products to our program. Our wholesale priced products are the lowest in the UTV industry and our sales staff are the most knowledgeable. If you ride in the dunes, desert or mountains? we carry everything you need to keep your UTV top shape. Specializing in UTV parts and accessories for side x side Arctic Cat Wildcat Honda Big Red Pioneer Commander Teryx RZR Ranger Rhino ECT. 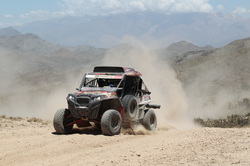 Our UTV racing parts have been track tested.